Do you love shooting landscapes, wildlife, and bird? Or you do photography when vacationing, hiking, fishing, boating or hunting? You should have the best binocular. Which binocular is worth your money and what is it the best brand? This is a question most people and bird lovers ask themselves every time before buying a binocular. 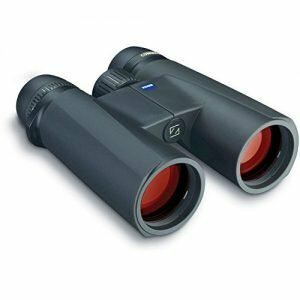 Worry no more as this list will highlight the best selected binoculars for photography and bird watching. The Zeiss Conquest HD binocular is designed with a large 42mm objective HD lens. The lens is combined with a light gathering capability of 90% due to a LotuTec coating. The optics are multi-layered to enable reduction of glare and light loss. The Zeiss Conquest HD binocular does not condense on the inside when it’s foggy or raining. The binoculars are not a burden for you while in the jungle since they are light. The focus is enhanced by a giant wheel which allows optimal grip. Leica Utravid HD plus binocular is designed with a 42mm diameter objective lens with a 10X magnification power. The optics are high quality providing a wider field of vision with bright and clear images. Its apparent field of view is 64which increases the field of view. Leica Ultavid binocular reduces flare to an absolute minimum. It optimises contrast and sharpness is at its maximum. This means that you can make out full details of a bird even in dim light. These bird watching binocular has high-performance optics that allow a full field of view. The lens is multi-coated to increase light transmission. Nikon Monarch 7 is designed with a large 42mm lens with excellent light gathering capabilities. They are further enhanced with an 8X magnifying power and the multi-coating treatment allow low-dispersion. This binocular is made of polycarbonate with a rubber coating which makes it easier to handle. This binocular is well suited for foggy, or dark environments as well as at dusk and dawn. Eschenbach Sektor D is an ideal binocular for sharp and bright images. Multiple coatings of the lenses increase light transmission. Watching birds while on the move is made easier by an anti-slip rubber that ensures best gripping. The binoculars are designed with twist-up eyecups to enable watching with glasses. The prisms are crowned with BAK4 barium with multiple coatings and phase correction. So it can deliver a perfect round pupil with excellent brightness, the high colour fidelity with no distortion. The lenses are Nitrogen filled thus becoming water and fog proof. Zeiss Victory HT binocular features a 95% light transmission that produces sharp images rich in natural colour and contrast. The cutting-edge optics minimises flares making it an incredible model to watch birds in deep twilight. The lenses are multicoated to eliminate glares and improve resolution. This 1900-yard laser rangefinder made by Nikon is the best for hunting and wildlife photographers. With high quality optics, the Laserforce Rangefinder Binocular is also easy to use. I recommend this as the best waterproof binocular for most people. Professional photographers should buy a binocular with high grade optical glass BaK-4 prisms, instead of BaK-7 prisms. The best binocular is a great gear to have for travel or holiday gifts. Also, read my list of top 10 best gifts for photographers.